Whenever a major blaze breaks out in LEGO City, the brave firefighters get to work! Join the Chief Fire Officer and his courageous crew on a mission to put out the flames! 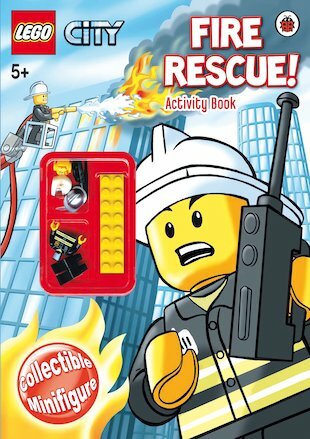 Follow the squad into lots of daring rescues in this thrilling activity book, which includes puzzles, games, sizzling stories and your own LEGO minifigure to build. Prepare your trucks, hoses and ladders. It’s a fire emergency! its fun plus it comes with a free lego minifigure!!!!!!!! !